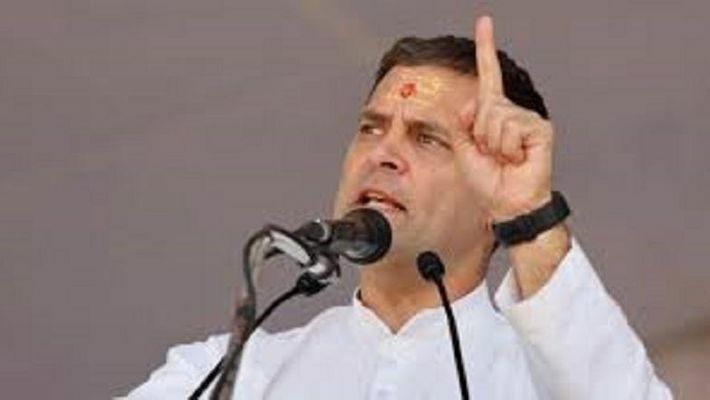 Chennai: The Tamil Nadu Congress unit on Saturday requested its national president Rahul Gandhi to contest from the southern state for the April 18 Lok Sabha elections, by saying that he was first proposed as the next Prime Minister from the state by the Dravida Munnetra Kazhagam (DMK). TNCC president KS Alagiri said besides contesting from Amethi in Uttar Pradesh, Gandhi should also select a seat from Tamil Nadu as he cannot be perceived as belonging to just the northern state, but "is seen as an asset of the people of India". Referring to the DMK president MK Stalin first proposing Rahul's name as the next Prime Minister in the event of the opposition winning the Lok Sabha polls, Alagiri said the secular alliance cobbled up by the DMK leader had the full support of the people. "In this backdrop, on behalf of the state Congress unit and the people, I request Mr Rahul Gandhi to contest from any one of the Lok Sabha seats in Tamil Nadu. I am sure the (DMK-led) Secular Progressive Alliance will extend grand support to this plea," Alagiri said in a statement. He said Rahul was "acceptable" by people as a leader beyond religion and caste and therefore, cannot be considered as "belonging only to Uttar Pradesh". "He is considered as an asset of the people of India. He enjoys the goodwill of all and has dedicated himself to the cause of unity. While contesting from Amethi in Uttar Pradesh in the north, he should also contest from any one of the seats in Tamil Nadu, which is the southern part of the country," he said. Alagiri expressed confidence Rahul will heed to the plea of the people of the state and select a constituency from Tamil Nadu for himself. By doing so, Rahul will be seen as a leader "connecting the north and south," and receive grand public support, Alagiri added. The TNCC leader also flayed Prime Minister Narendra Modi for "failing" to keep up his promises on issues, including retrieving black money from foreign havens and doubling farmers' income, and dubbed the AIADMK-led NDA coalition in the state, which includes the BJP, as "opportunistic".